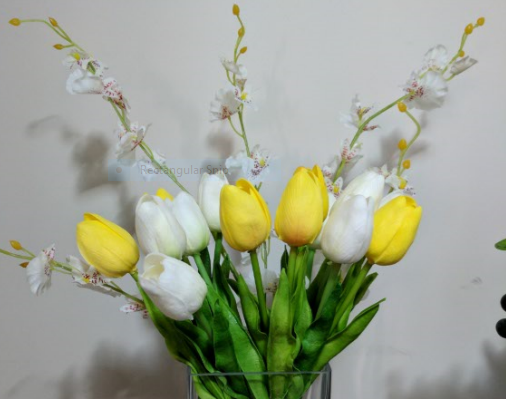 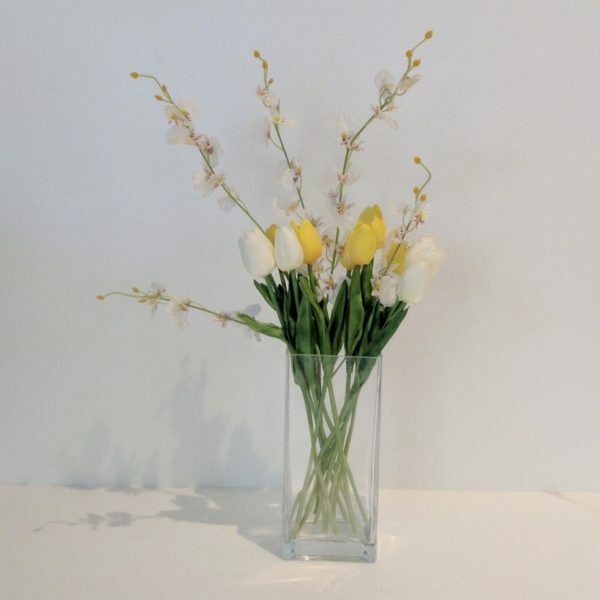 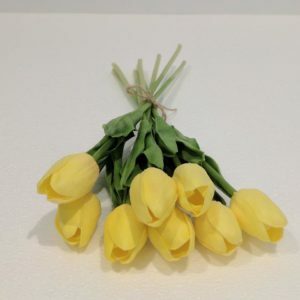 Beautiful Display of PU Real Touch Yellow & White Tulips and Silk Blossoms displayed in Glass Vase. 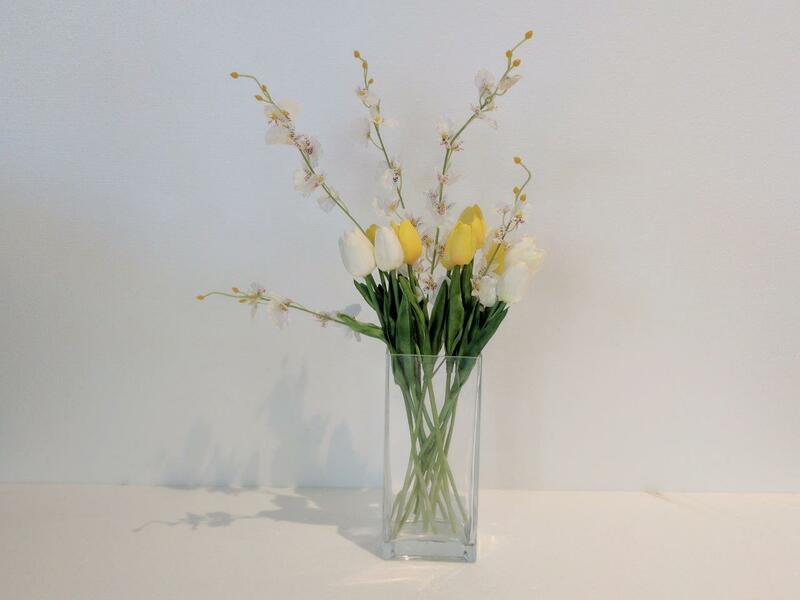 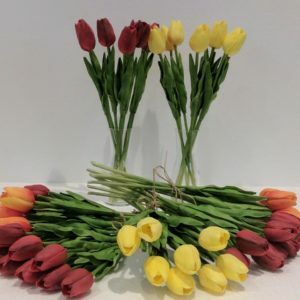 Bring the cheer of spring inside with this bright and beautiful arrangement. 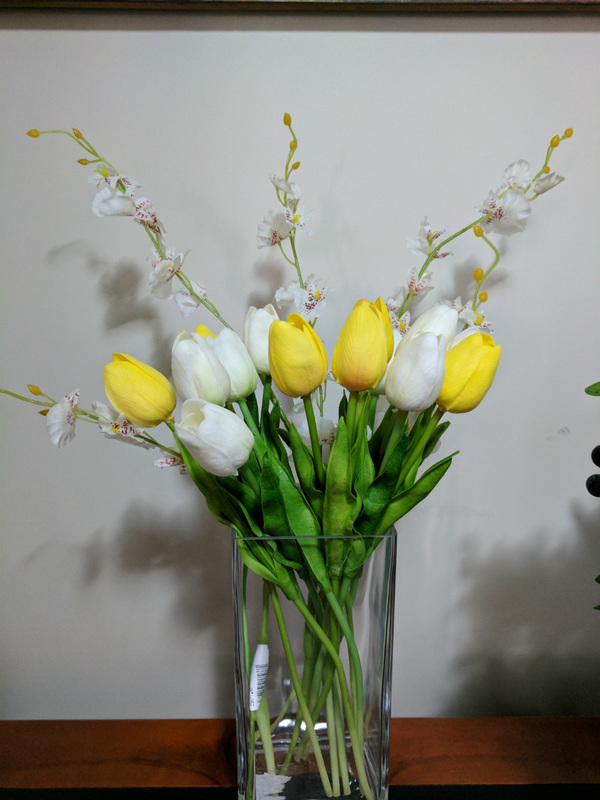 Beautiful Display of PU Real Touch Yellow & White Tulips and Silk Blossoms displayed in Glass Vase. 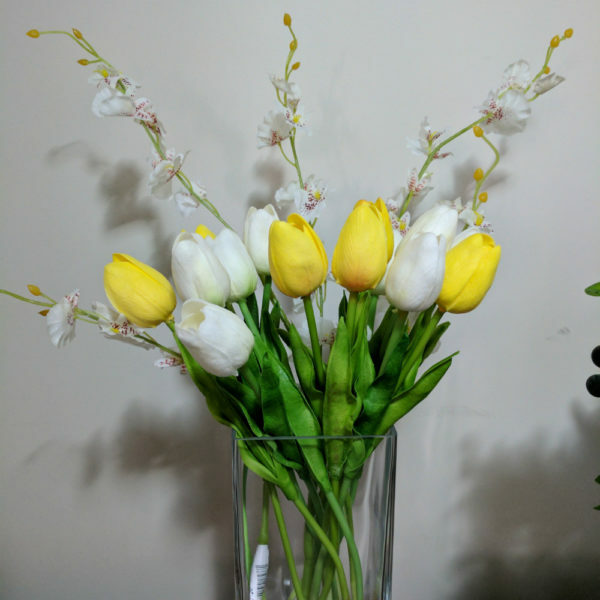 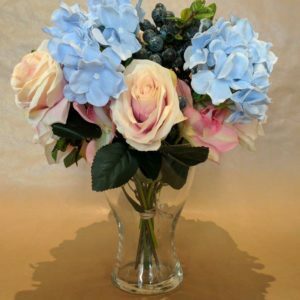 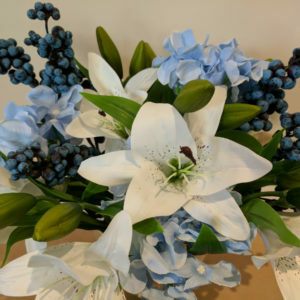 Bring the cheer of spring inside with this bright and beautiful display bouquet.